I’m not usually the type to fan girl. 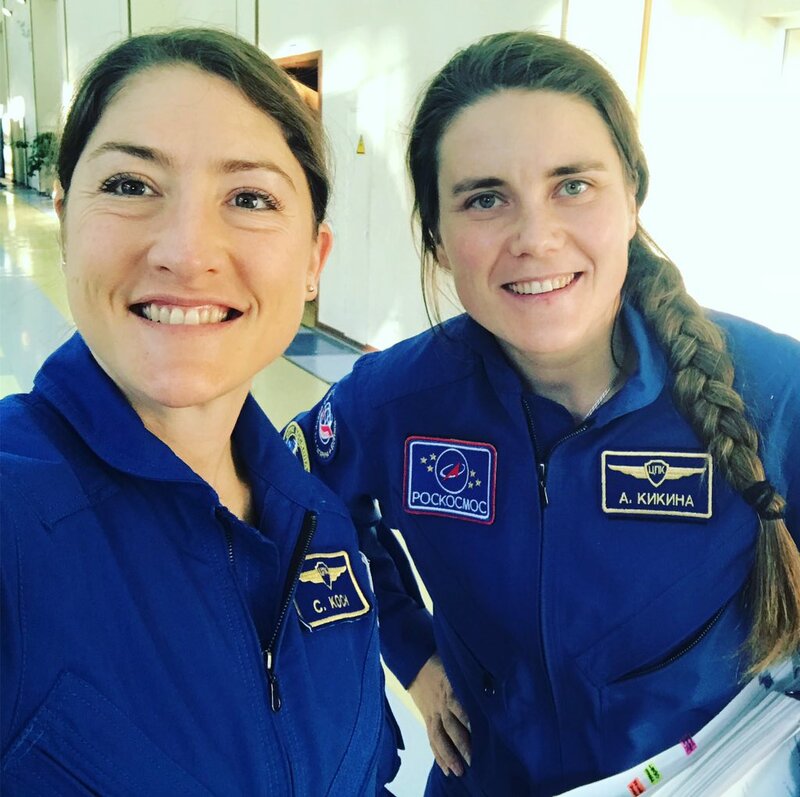 But when you bump into the one current woman cosmonaut and you’re both training in the same building, it’s hard not to. She was learning manual Soyuz docking and I was co-pilot training. Honored to share the same uniform as you, Анна Кикина! 4 women with 15 space flights between them. A reunion in #Houston with #ShannonLucid, #MarshaIvins and #EllenBaker. Great catching up with my former @Space_Station crew mates @astro_kjell & @Astro_Kimiya in Houston, TX, planet Earth last night!